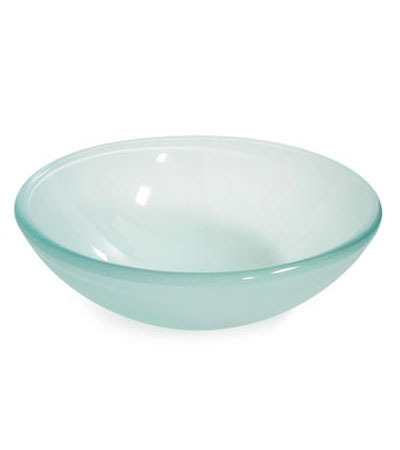 Frosted double tempered glass vessel sink bowl (B7082), BathImports 70% off Vessels, Vanities, Shower Panels. 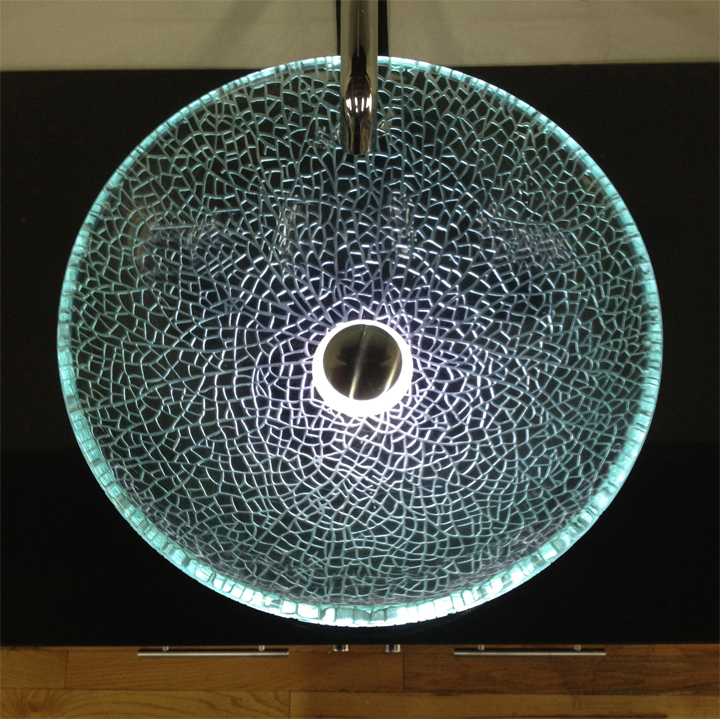 The sink is a clear vessel sink with a white frost that has a slight green tint, depending on the lighting. This is a vessel for those looking for a sink that will fit any application at a low price. The vessel is .7" thick tempered glass, which is .2" thicker then most vessels on the market. Design type: sprayed on frost then baked.